How to Paint Your Condo Like a Professional? Are you planning to give your condo a bright new look by repainting it? Then, you must go through some steps first to ensure that your condo is ready for the paint job. Prepare everything correctly to ensure that the job goes smoothly and without creating any sort of trouble. This particular article will guide you through the processes and all that you need to do to paint your condo new. Just follow the following steps and everything will go just as smoothly as you want. The first and foremost thing to start a painting job is to buy the necessary supplies. First make sure which colour you want your condo to paint with. The colour must not be something too violent or too dim. 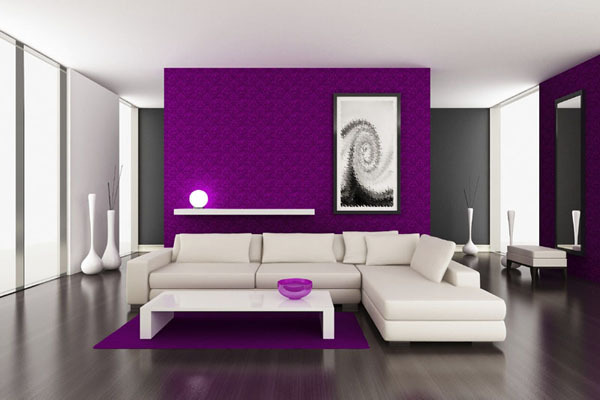 The colour must reflect your personality and the general mood of your condo. Do some researches about what colour will go with the furniture and what type of patterns you may apply to the wall by painting. Look up in the internet about the equipments you will need, like paint brushes, rollers, paint thinners, drop clothes, sealants, masking tapes, abrasives, sandpapers etc. and then buy them from the market according to your specifications and needs. Removing the furniture and other valuables from the room while painting is another important thing to keep in mind. Definitely you will not want the pain to drip into your furniture while painting. Removing the furniture will also give you the extra space and freedom to paint freely. If you don’t have a big enough storeroom or can’t move the heavy furniture to another room, then just move them to a side of the room where you will not paint at the moment. Furthermore, cover the furniture with drop clothes to ensure that no paint get on them even by any kind of accident. Clean the wall surface before commencing the painting as this will remove any kind of impurity like sand, dust, foreign objects from the wall and give you a fresh canvas to paint. This will also reveal any kind of cracks in the wall which you would need to fill up with caulk. This cleaning process will also nullify any chances of your new paint getting entangled with the older paint and shade and give a horrible appearance to your condo. As Singapore has no winter or spring, your outside wall will not face the heavy change in temperature but you will definitely need the kind of paint which saves the outside wall from any dust, heat, sun rays and humidity. After following the first three steps you are no ready to start painting the walls of your condo. Read the instructions that come with the paint buckets carefully as some of the paints are specially made and are delicate and need special treatment while being applied. Take extra care for these kinds of paints. For all the other paints, you can just start to paint simply with the help of a brush. For painting larger sections of the wall without much deviation in them, you can simply use the roller brushes. After painting the most important part is to allow the wall to dry. Some paints may take hours to dry completely. Give your wall the time to dry the paint and soak the paint completely. You can use fans to accelerate the process but make sure that you don’t place the fan too near to the wall as that might dissolve and hamper the thickness of the paint in particular areas and give some odd and avoidable shades in the wall. Let the wall dry completely before you put up any painting, poster or switchboards in the wall. Place your furniture carefully ensuring that the furniture does not get brushed with the paint. Following these tips will ensure a great paint job on the walls of your condo. You will be amazed with the results as you will feel like you have done a professional job. 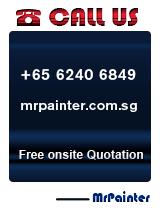 If you want any professional assistance, you may always contact the specialists in paint job in Singapore. You can also invite your friends to come over and help you. If you are looking to get some professional help in painting you condo and that too in a particular budget, then you should contact us in Condominium. We provide assistance in indoor as outdoor paintings and we have a very talented and experienced pool of technicians who excel in their job. Condominium provides commercial as well as residential painting solutions. We have a wide range of satisfied customers in the whole of Singapore. We are sure that we can provide you the exact service regarding paint job that you were looking for. We provide aesthetic as well as practical beauty in painting your condo, giving your condo the whole new look that will help you stand apart from the rest. We have years of experience in the field and we paint using the paints and equipments of market leaders ICI Dulux and Nippon. Why Condominium is more costly than HDB? 1. In Condominium, no painting is allowed after 5 pm to 9 am in the next morning. 2. We don’t work on Sunday and do not provide any services on public holidays. 3. 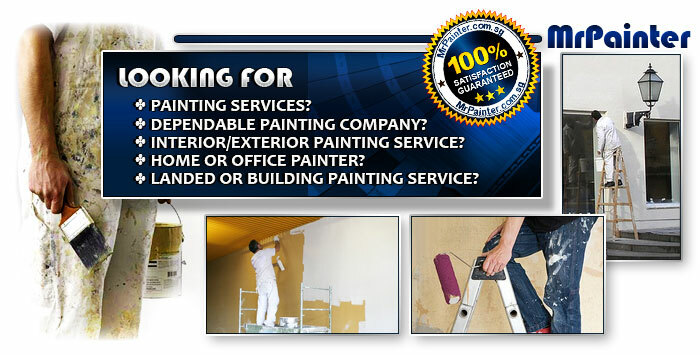 The painters are paid daily not weekly or monthly. We provide ceiling paintings too and use sealants to cover up any kind of cracks in the ceiling. We even cover the hairline cracks eliminating all the risk factors entirely. We also work in accordance to the interior designer if the client provides any. We generally make an appointment with the client before taking up the job and then discuss in details the requirements and the feasibility of the job. After coming to an agreement we provide the quotation stating clearly how much we will charge and in what grounds. We always encourage the clients to use high quality equipments while painting, not some cheap and flimsy product that might damage the wall and degrade the job completely. Also make sure that the paint is according to the guidelines that clearly say what materials can’t be used due to the reason of being harmful to humans. 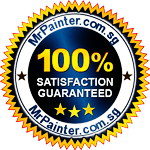 If you have any kind of paint job in Singapore, don’t think twice and call us and enjoy the best professional paint job in the island to satisfy all your needs. 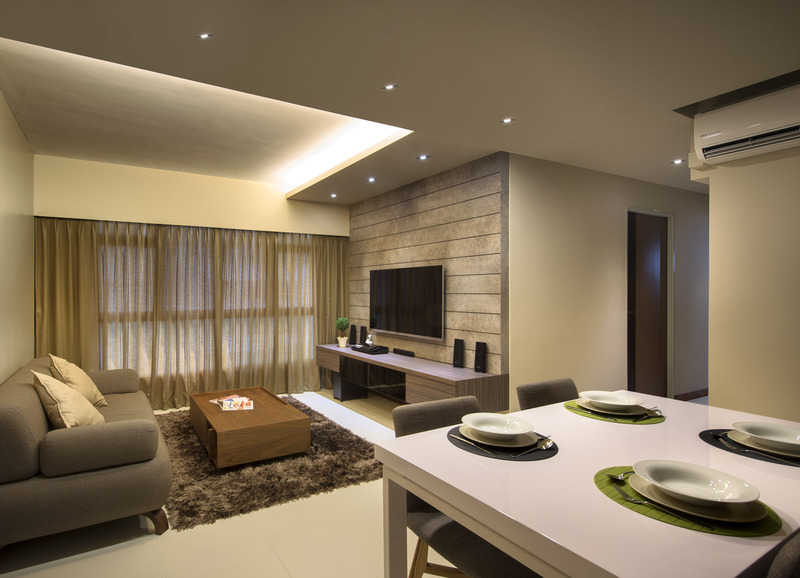 There are some useful tips that can help you improve the overall look of your condo. When it is necessary, you can paint your condo for getting the best appearance of your unit. When you plan to paint your unit, you should do some preparation steps. Make sure that you prepare everything correctly, so you can avoid getting any problems during the condo painting process. This article can help you learn about how you can paint your condo like a professional. These simple tips are very useful to help you get a lot of benefits from your painting project. It is not difficult to follow these useful painting tips. This is the first thing that you should consider, so you can paint your condo easily. It is a good idea that you buy some essential tools, so you can accelerate your painting process. You need to buy the best paint that has suitable painting color for your condo. This color should meet your preference and needs. You can also prepare some additional painting tools, for example brushes, roller covers, masking tape, sandpaper, abrasives, drop clothes, caulks, sealants, caulking tools, and many other important tools. If you want to protect your assets and furniture during your painting process, you should remove all nearby items or other furniture. This tip is very useful to help you paint your condo completely and easily. You don't need to worry about damaging your furniture by your paint. It may be a good idea to cover all of your furniture by using drop cloths. These cloths are very useful to protect all surfaces, working areas, and many other furniture in your condo unit. You can store some of your valuable items during your painting process. Before you start painting your wall, you need to clean the wall surface. This step is very useful to accelerate your painting process. This step is also effective to remove any unwanted impurities from your wall, for example dust, stone, and many other unwanted materials from the wall surface. You also need to repair any defects on your wall surface. When it is necessary, you can fill any cracks or gaps with caulk. Preparing this wall surface is very useful to help you complete your painting process easily. This step can also improve the overall look and appearance of your condo. After you are ready with the preparation step, you can start painting the wall around your condo. You can use your painting brush to start painting your condo wall. When you plan to paint large surface area on your wall, you can simply use painting roller, in order to accelerate your painting progress. If you are in this step, you can also bring your painting bucket with you. Make sure that you follow all instructions from the painting bucket. Different paints may have their own painting procedures, especially when tehy are applied on the wall surface. 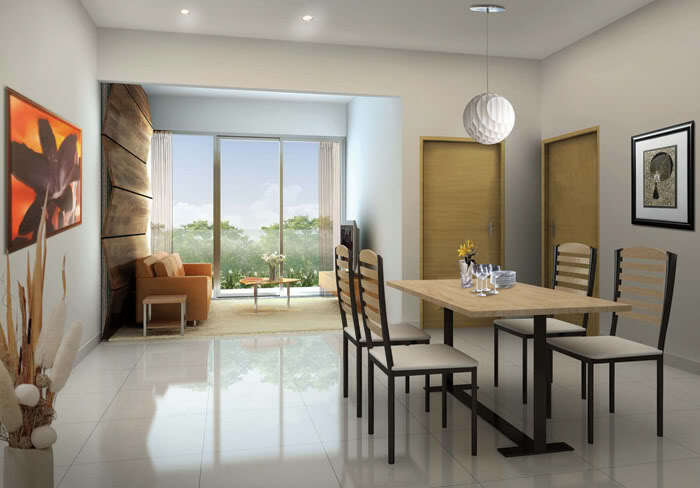 It is one of the most important steps for you who want to paint your condo completely. After you paint your wall surface, you should make sure that the paint is dried completely. Most paints are able to dry in a few hours. You should let your paint dry before you start hanging any pictures, outlet covers, and electrical switches on your wall surface. When it is necessary, you can also use fan for improving the drying rate in your condo. Some people claim that they can accelerate their drying process, especially after they use fan for drying their paints. When you follow all of those tips, you should be able to paint your wall on your condo properly. You can paint like a professional, especially when you prepare all important details completely. However, you can also hire some professionals to paint your condo unit. If you don't have a lot of time for taking care of your painting process, you can contact some of your favorite painting experts. They can help you paint your own condo quickly and correctly. 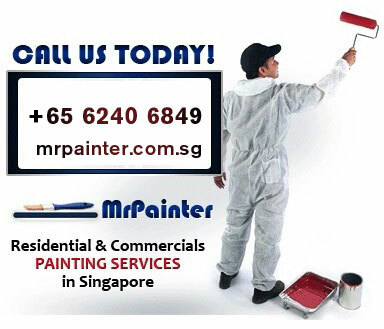 Mr. Painter is ready to help you improve the overall appearance of your condo. There are some recommended painting services from this company today. Contact this company today to ask about the quotation for painting your condo completely.